Art is not just for the artist! 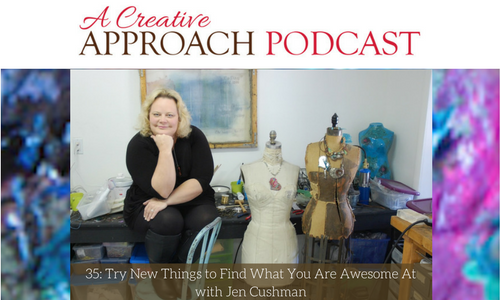 My guest today, Jen Cushman, is an artist, a crafter, and a teacher who embraces that mentality wholeheartedly. Jen works best in multimedia. Any time she tries to stick to one medium, it never ends up well! From scrapbooking to mixed media collage to jewelry and so much more, Jen wants us all to push outside of our comfort zones and try something new and spectacular. Today, Jen is going to share her amazing journeys in creativity. Along the way, she will share some of her brightest inspirations, favorite ways to create, and what it is like to develop a product. We will also get an inside look into her Deconstructed Reconstructed Retreats, which are fabulous and invaluable for someone interested in mixed media. Jen will also share with us why she loves working with power tools and blowtorches, and how jewelry making was opened up to her once she learned those skills. Above all else, Jen makes art for anyone to enjoy that is also accessible to anyone. Because she loves teaching classes and writing books, Jen is ensuring that someone who might not consider themselves an artist in the strictest sense can still create something wonderful. Creativity is for everyone, and Jen and I are so excited to celebrate that with you today! Jen shares all of her current projects and passions. Jen travels around the world to teach others how to do mixed media art. Teaching women how to use power tools was an accidental but powerful movement for Jen. Why Jen started crafting and expressing her creativity. Jen actually got her start in journalism! How Jen got kicked out of a Creative Memories crop but then got into teaching scrapbooking. The creative process involved with developing a project to sell. What it’s like to teach and develop a class. Advice for choosing a retreat. Why Jen is hosting her next retreat at home. Jen’s best thoughts on creativity. What really inspires your creativity? Do you ever use the time it takes to do your routine tasks as an opportunity to reflect on things? And if so, do you make use of those reflective moments for your inspiration? Some of my most creative ideas have come to me while preparing a meal, or while doing laundry. And at times I allow myself to really indulge in the sensory input from my surroundings while getting completely lost in the moment. I focus on the colors, textures and my feelings at the time and then the creative force usually follows a bit later. I also love to see what other people are making, as the creativity of others can be a wonderful source of stimulation for new ideas too! Today’s story will offer many insights into the life of a fine artist, as I have Diane Richey-Ward with me as the guest on today’s show. She’s a fine artist based in Sacramento and she was also my drawing teacher a while back. 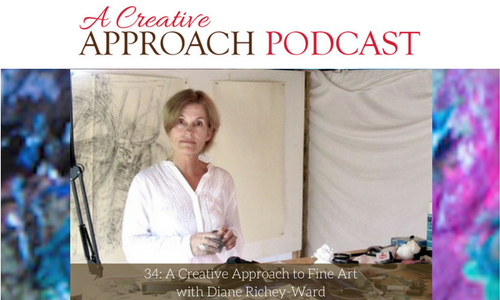 Listen in today to find out about Diane’s creative approach to fine art. Diane has been working mainly with the medium of drawing for the past thirty years. Every ten years she alters her approach, changing from drawing only to mixing drawing with sculpture or with other, different media. Her latest interest has been mixing drawing with photography and she’s been busy with that for the last three years. She features her latest work in an awesome show which is going on currently, at the Eastry Gallery in Sacramento. Today Diane talks to us about her widespread experiences and about the shows she’s had, all over the world. Listen in now to find out more! What inspired Diane’s idea of mixing drawing with photography. Diane discusses her love for both drawing and photography. What gives Diane the fantastic feeling of unlimited potential that she experiences, as an artist. How architecture has featured prominently in Diane’s latest work. 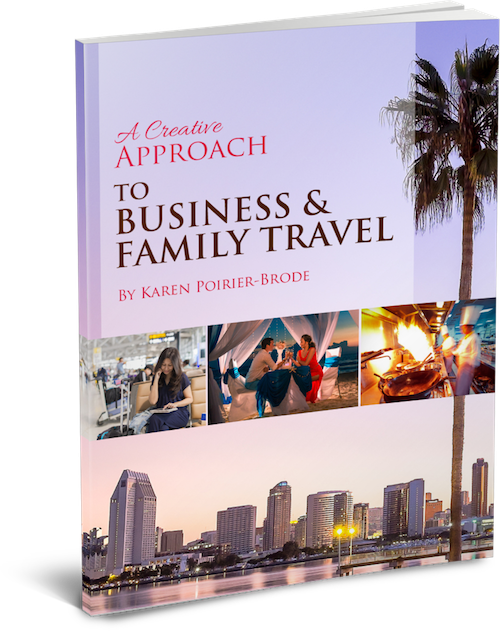 The way that traveling provides inspiration for Diane’s work. What art residency is all about. What got Diane into teaching art for almost twenty-three years. The most satisfying aspect of being an art teacher for Diane. Why being retired is so much fun for Diane. Why doing things other than art sometimes is a good idea. How Diane initially got into art. The hard work and perseverance that is required to become a successful artist. The kind of venues that Diane prefers for her shows. The key influences in Diane’s life as an artist. Some tips to help you when you apply for art residencies. A way to get a fresh, new perspective on things, if you run into a creative roadblock. They will also be available to the members of the Creative Approach Facebook group on the Creative Approach Facebook group page.